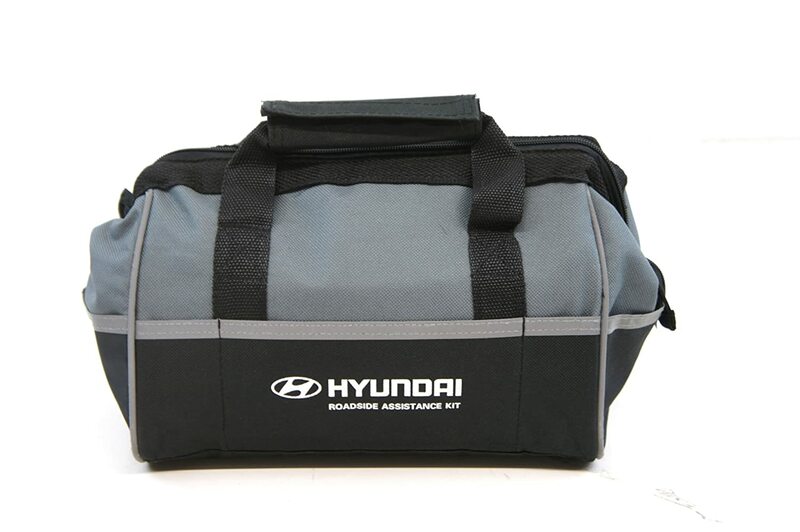 ✔✔✔Triangle Shape Design Emergency Bag: made of sturdy 600D nylon canvas, this rugged bag won’t get crushed in your trunk, backseat, spare tire compartment or truck bed like most kits on the market. Lightweight, compact and yet still holds everything you need for life’s unexpected events. 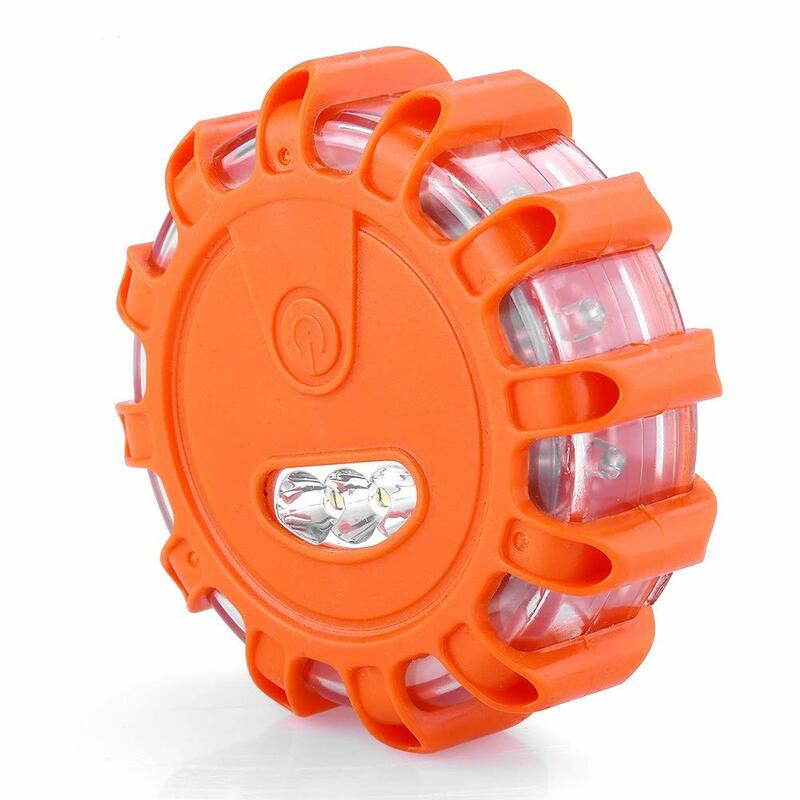 The outside features a reflective emergency warning safety triangle. Of course you can add more in this bag if needed. 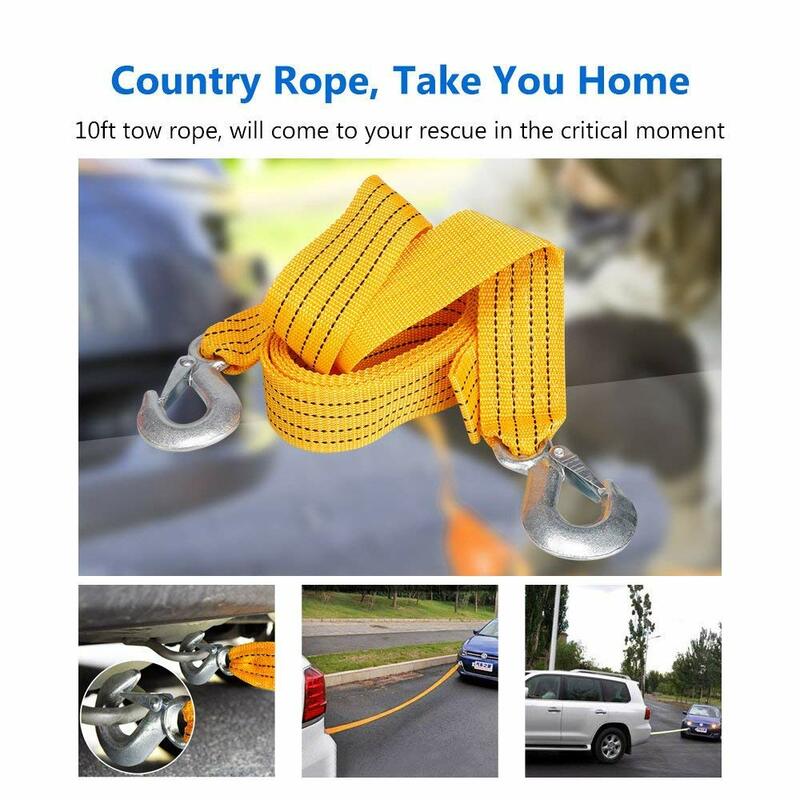 ✔✔✔Roadside Emergency Assistant Tools: among the standard emergency supplies this kit contains, you will also find a multitude of roadside assistance tools. Ranging from warning triangles and battery booster cables to window breakers and flashlight, there's nothing a driver may need that you won't find in this kit! 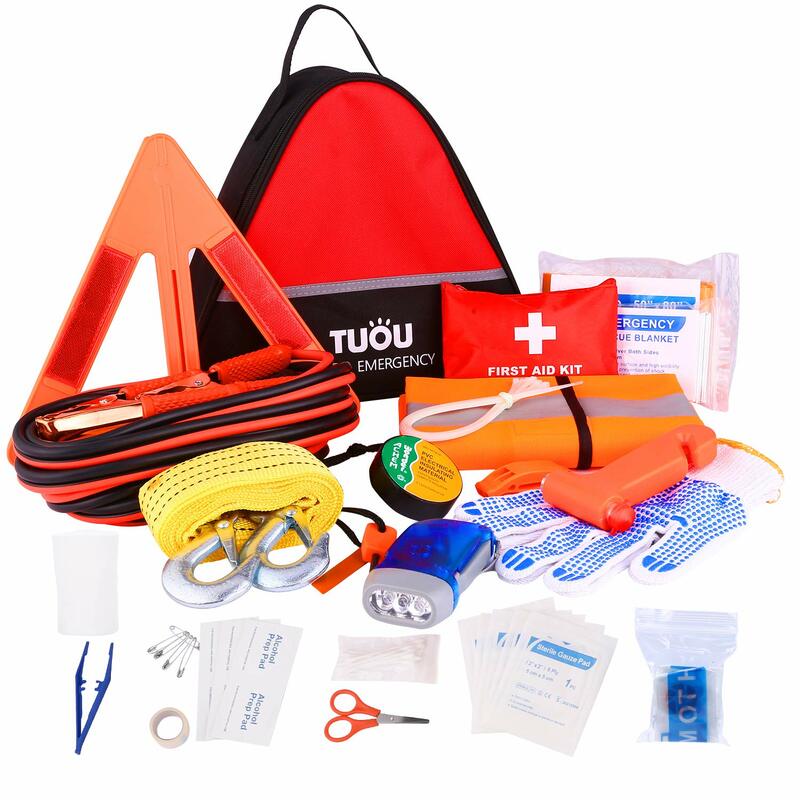 ✔✔✔First Aid Kit: unexpected major emergencies, natural weather disasters and survival situations that require medical-grade supplies for immediate treatment, relief, and prevention of injuries and infections, simple aid tools like adhesive bandages, first-aid tape, gauze pads, CPR mask and more will help your families and friends calmly overcome those difficulties outdoors. 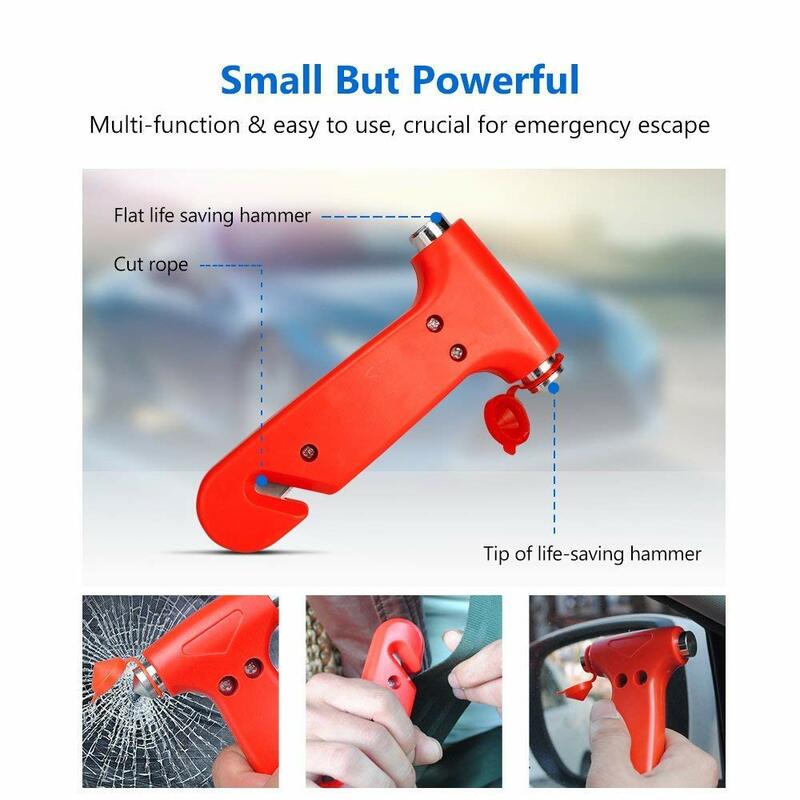 ✔✔✔Multifunctional As A Christmas Gift: great kit for most auto emergencies, including: winter weather, road trips, dead battery, minor breakdown. Perfect for first-time car owners, and seasoned automotive enthusiasts. Great gift for your families and friends. Everyone should have one of these in each of their vehicles. 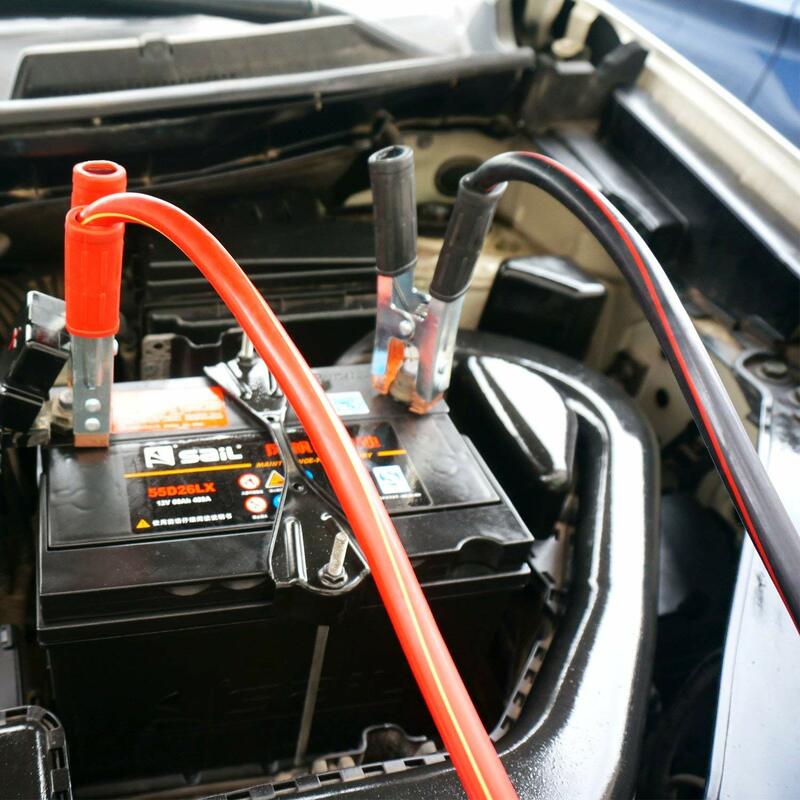 Place this kit in your vehicle and be ready for most unexpected auto emergencies. ✔✔✔Quality Guarantee: our factory had got FDA/CE/OHSAS 18001 certificate. 12 Months Quality Guarantee, you get a full refund if unsatisfied, we promise 100% satisfaction guarantee for customers. Also, contact us free if you have any suggestion or problems, response within 24 hours. Just Add To Cart and Get Everything. 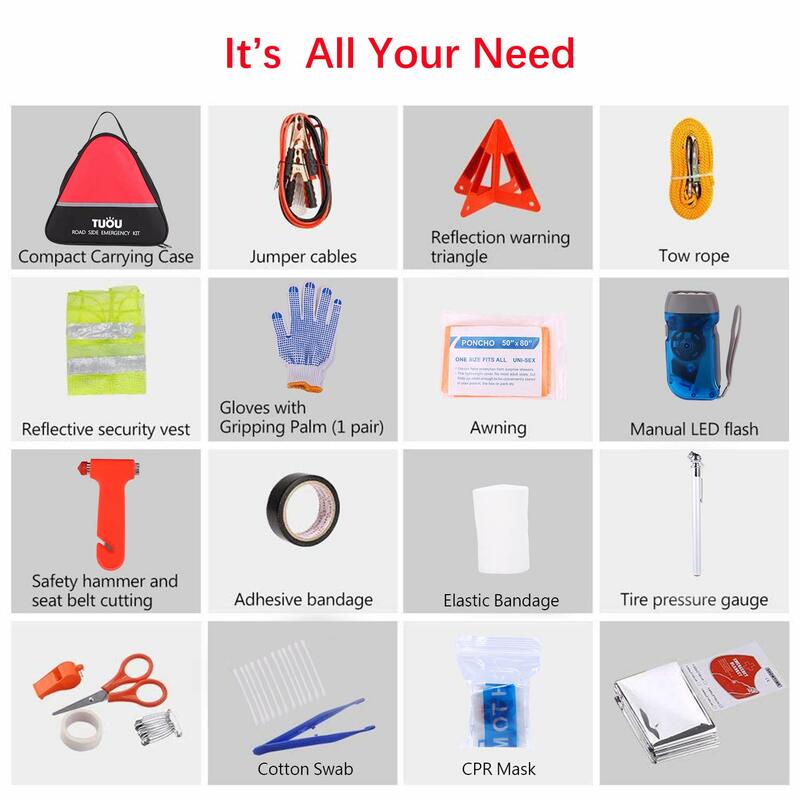 What Makes Our Roadside Emergency Kit Different? 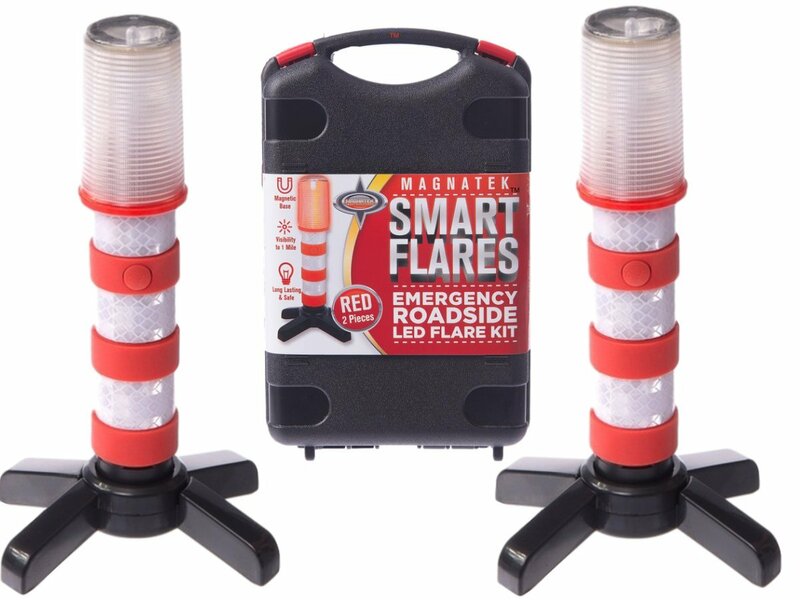 ★★Roadside Assistant Tools: among the standard emergency supplies this kit contains , you will also find a multitude of roadside assistance tools. 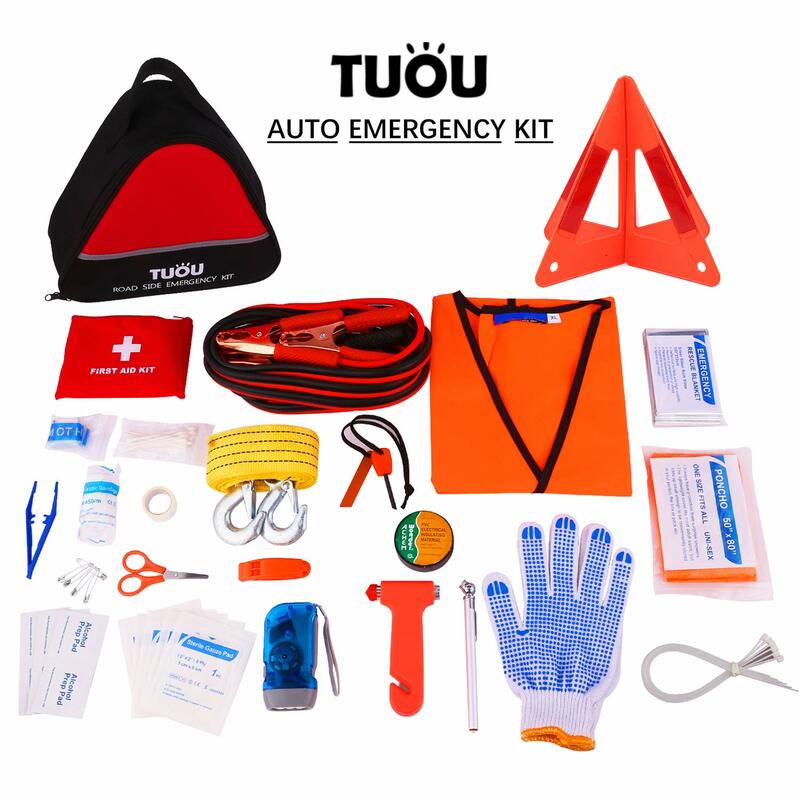 Ranging from warning triangles and battery booster cables to window breakers and flashlight, there's nothing a driver may need that you won't find in this kit! ★★First Aid Kit: unexpected major emergencies, natural weather disasters, and survival situations that require medical-grade supplies for immediate treatment, relief, and prevention of injuries and infections, simple aid tools like adhesive bandages, first-aid tape, gauze pads, CPR mask and more will help your families and friends calmly overcome those difficulties outdoors. ★★Quality Guarantee: our factory had got FDA/CE/OHSAS 18001 certificate. 1 Months Quality Guarantee, you will get a full refund if unsatisfied, we promise 100% satisfaction guarantee for customers. Also, contact us free if you have any suggestion or problems, response within hours. Just Add To Cart Get Everything. Overall really impressed. I thought it would be a cheap thing. Jumper cables are good (I was worried they wouldn't be). The bag is really nice and sturdy. My only complaints are, there is a peculiar smell from the bag. And the electrical tape is all sticky, somewhat like when it sits out too long. Other than that very happy. How compact this is with so many stuff in it. Hopefully I'll never have to use it bit when i will i will be so grateful that i got this kit. What a amazing product. 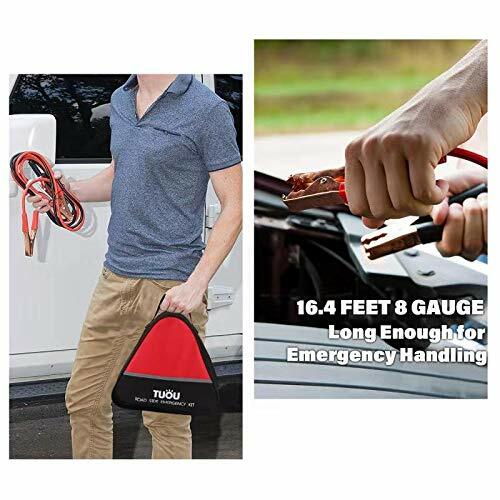 Contains nearly everything it should have to handle roadside emergency, especially the long jumper cable. I'm going to send this to my son who got driver lisence just few days ago. Hope he would be pleased with this for his new car. You know this kit has a lot of stuff because it is very heavy. Hopefully it won't be needed but it the time comes we will be ready. I bought this for my mother to make us both feel better when she is traveling alone because you can't be too cautions while traveling. It has a nice case with a simple design and is compact enough to fit pretty much anywhere. I may get another for myself. This kit will fit great in the trunk. The case fits just the triangle exactly. It won't take up much space. I was surprised at how everything fits into the bag. It comes with a first aid, flash light that you pump in order to light it up, jumper cables, and many other things. This is a very well made emergency roadside kit. it comes fully packed with everything they promise and its all made of what seems like good material, for the price you would expect cheap stuff, but this is actually good grade material. I recommend this kit for the price what it contains and for the small size.